Steven is a Partner within our Business Consulting and Financial Planning divisions. Steven provides tax and financial reporting services to clients together with business improvement planning, cash flow improvement strategies, due diligence on purchases and mergers and specialist advice in most areas of tax and duties, including GST, FBT and CGT. Steven combines his financial planning experience and extensive tax knowledge to deliver comprehensive solutions for his clients throughout their lives, in both their business and personal endeavours. He specialises in preparing astute financial plans to guide clients towards maximising their wealth. Steven Wild is an Authorised Representative (No. 269 160) of Edwards Marshall Advisory Pty Ltd | AFSL 479 792. The forward-looking, goal-driven nature of financial planning is replicated in the financial and business advice that is targeted to achieve Steven’s clients’ objectives. Steven concentrates on introducing strategies and actions to improve his clients’ financial position every year, with a focus on his client’s profit improvement and cash flow management. Steven has extensive experience with franchise arrangements, business valuations, budgeting, forecasting and management accounting. He has assisted many clients work through issues related to the purchase or sale of businesses. Steven was responsible for guiding the firm’s clients, and various schools (that were not otherwise clients) through the introduction of GST and continues to play an advisory role on complicated GST matters related to property development, schools and exports of services. Steven has been a qualified financial adviser for more than 15 years. Steven’s knowledge of taxation law, small business CGT concessions and his ability to use this knowledge in the financial plans he prepares and implements for clients give him a special capacity compared with many other financial planners. Steven holds a Bachelor of Arts in Accountancy and Graduate Diploma of Financial Planning. 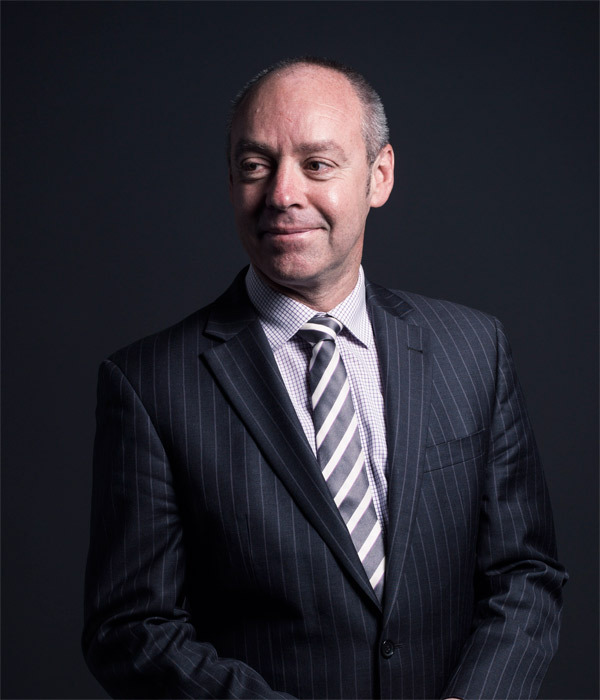 Steven is a Fellow of Chartered Accountants Australia and New Zealand, a Self-Managed Super Fund Specialist of Chartered Accountants Australia and New Zealand, a Chartered Tax Adviser of The Tax Institute of Australia and a Registered Tax Agent. Some of Steven’s best work is in developing strategies that work in or on the client’s business to help the client achieve their personal goals. Steven considers that the key to these assignments is to understand the client’s goals and objectives and then develop tailor-made strategies and structures for that client. Established a plan for a business client's eventual exit from his business. The first step was to negotiate and document a shareholders’ agreement with the other shareholders. That agreement included a valuation methodology for the transfer of shares. The second step was to assist the client with improving the profitability of the business which included reviewing the business’ various product lines and ensuring that only profitable lines were continued. The third step was to monitor and advise on the best time to execute the sale to maximise the sale price received. Assisted a business client with negotiating the purchase of the client’s major competitor. The client was prepared to pay a higher price to remove a competitor. Steven was able to demonstrate to the client that a fair and commercial purchase price was much lower than the client expected because there were no other logical buyers. Steven then led the due diligence exercise about the purchase which highlighted a number of issues that culminated in further reductions in the purchase price. Engaged to assist a client with reducing his tax whilst eliminating some personal non tax-deductible debt. Steven determined that there was a commercial property owned personally that was used in his client’s business. After appropriate research and review, it was determined that the asset satisfied all of the tests to qualify for the Small Business CGT concessions. The property was transferred to the client’s Self-Managed Superannuation Fund, partly for cash and partly as a contribution. There was no tax applicable to the large capital gain. The business now enjoys an ongoing income tax deduction for the rent paid. The client also received some cash from the Superannuation Fund that was used to repay the non-deductible home loan.